These are events held at Atlantic Motorsport Park that ARRCA provides marshaling services for. Every one of these usually provide great on track excitement from a marshaling perspective. Lunch will be provided at all events at AMP that you attend as a marshal, as well as post event refreshments. 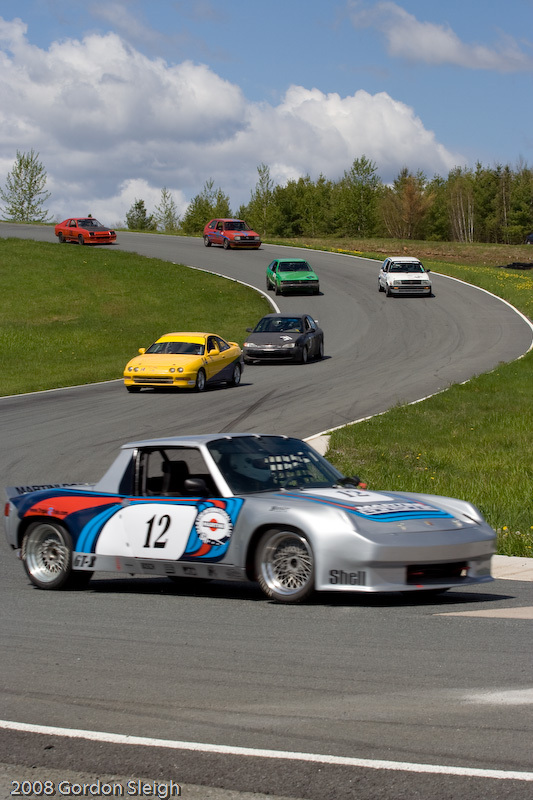 TRAC Series (May 27, June 24, August 11/12, September 23) – High speed 4 wheel action, organised by Atlantic Region Motor Sport. These car racing weekends feature a wide spread of sedans in various classes. Anything from Corvettes to Volkswagens and everything in between. A typical TRAC event takes place on Sundays (except for the August event, which features a full day of racing on Saturday as well – an excellent excuse to come up and camp!) and has a full slate of racing. Two practice sessions in the morning are followed by alternating GT and Spec Miata races, wrapping up with the 1 Hour Atlantic Challenge – open to all participants!Car events provide lots of excitement and they give us an opportunity to hone our blue flagging skills (motorbikes do not require blue flags). For a TRAC event, we would ask that you arrive at approximately 8:30am for corner assignments and other duties. Atlantic Roadracing League (May 12/13, June 16/17, July 14/15, August 18/19, September 8/9) – Motorcycle racing in Atlantic Canada is organized by ARL. Great competition and high performance are the name of the game on a motorbike weekend. Everything from the latest modern supersports to some fine vintage race bikes cover a weekend’s activities. There is also some fantastic entry level competition. From a marshals perspective, an ARL weekend consists of participation (and subsequently racing!) on both Saturday and Sunday. On Saturday, there is three practice “rotations” of each group (each rider is placed into one of 3 groups, based on lap) followed by qualifications. After lunch the first races for the weekend take place. Sunday’s schedule has one practice “rotation” then jumps right into racing action. On an ARL weekend, we would ask that you arrive at aapproximately 8:15am(on both Saturday and Sunday) for corner assignments and other duties. Canadian National Superbikes (July 24/25/26/27) – The premiere motorcycle racing series in Canada. The best riders and the fastest bikes in the country make a stop at AMP and excellent racing is par for the course. It is a 4 day event, consisting of practice on Thursday and Friday (July 24/25) followed by qualification on Saturday and the races take place on Sunday. More information will be communicated as the date draws near. Jack Canfield Memorial Enduro (Sunday September 27th) – This 3 hour endurance race for 4 wheeled machines has taken place on Thanksgiving Day for the last 4 years. This “for fun” event was organized in memory of one of the founders of AMP, Jack Canfield. A practice session in the morning is followed by a Spec Miata and a Legends car race. Following lunch, 3 hours of racing starts! A fantastic way to close the season out at Atlantic Motorsport Park.